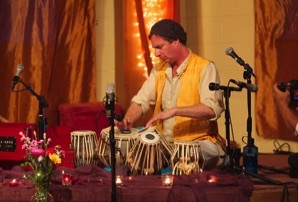 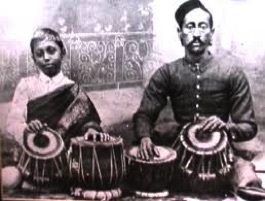 Tabla drummer and vocalist Daniel Paul earned his (Tal Vadya Bid) degree in the classical music of India from the Ali Akbar College of Music in 1984. 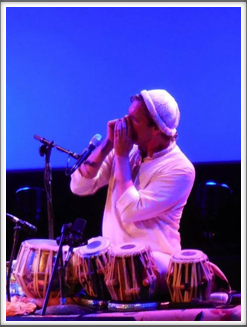 Nine years of intense study under India’s great masters (Ali Akbar Khan, Zakir Hussain, Jnan Prakash Ghosh, Swapan Chaudhuri and Chitresh Das), found Daniel on the teaching and performing staff and a member of the New Maihar Band, the College Orchestra and Tabla Drum Ensembles. 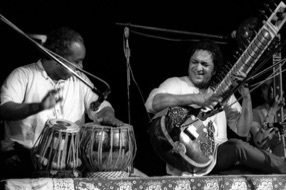 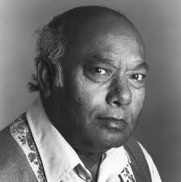 For 7 years he also served as personal assistant to his teacher, the late legendary Maestro Khan, accompanying on the background tamboura (stringed drone) instrument on tours including the rare quartet appearances with Ravi Shankar, Allah Rakha and Zakir Hussain at Carnegie Hall and festivals throughout India. 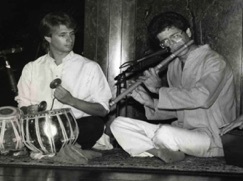 A short stay in New York City in 1985-86 during the “Year of India” included a tabla/bansuri recital for an early broadcast on All India TV, live from the Empire State Building with flutist Steve Gorn. 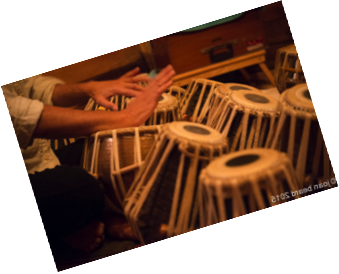 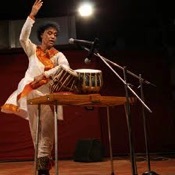 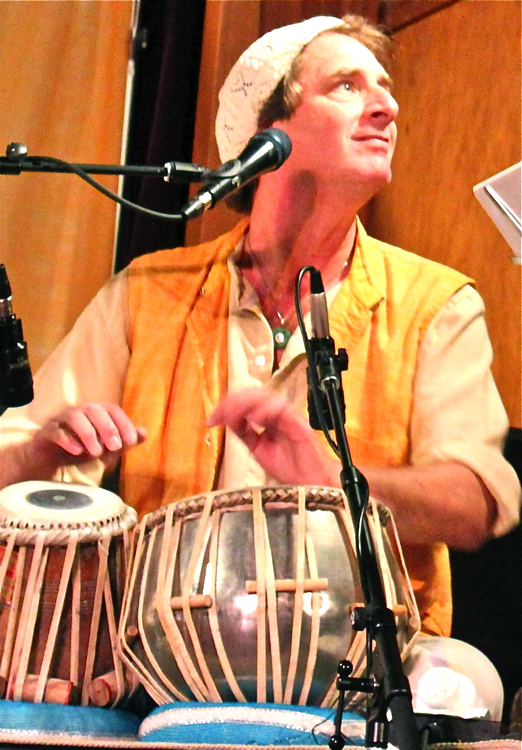 Daniel also became music director for the Asian Repertory Company’s ‘Off Broadway’ production of “Ghashiram Kotwal”, and in 1987-88 he received a Senior Fulbright Research Award to study classical and folk tabla drumming in India. 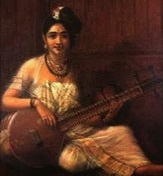 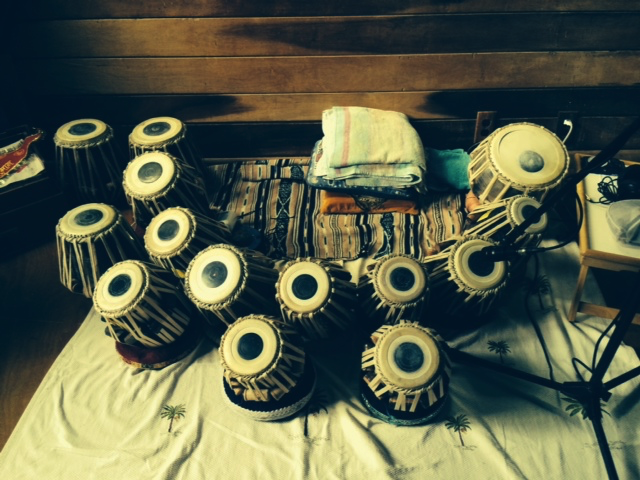 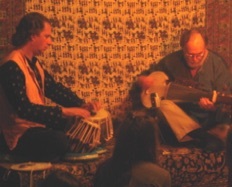 This included a year of playing in classical recital halls, on the streets with gypsy artists and in temples beside drummers of kirtan devotional music. 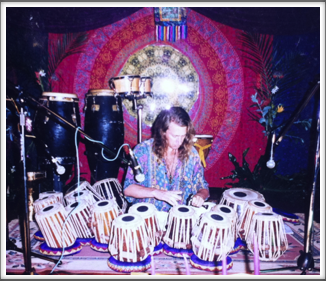 In 1989, Daniel returned from India and while residing in Hawaii, he began the yearly 'off-island' tour schedule continued today. 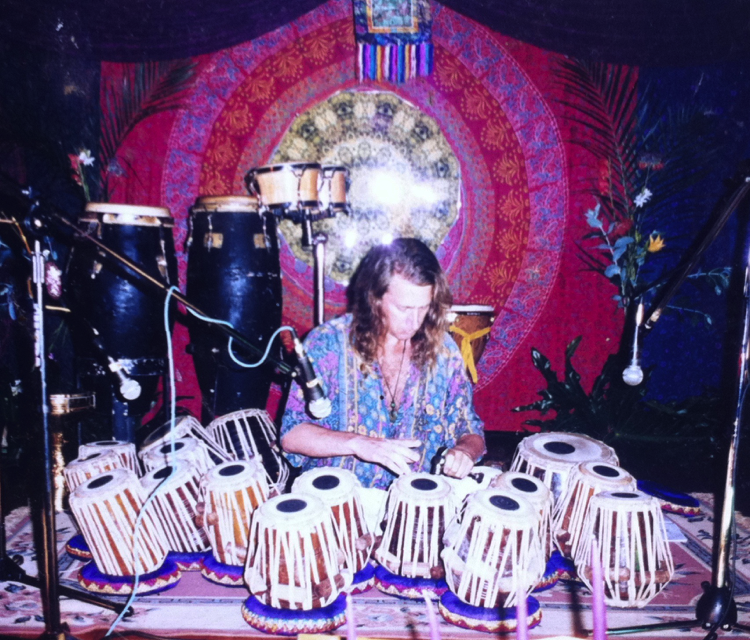 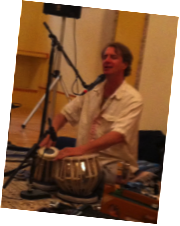 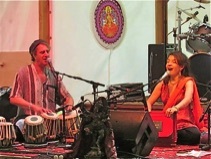 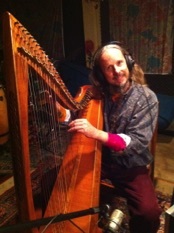 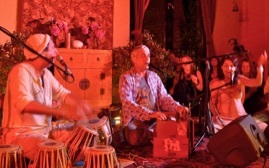 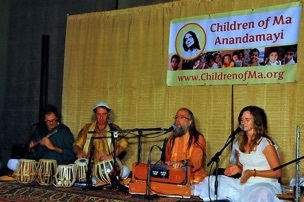 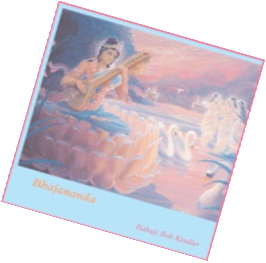 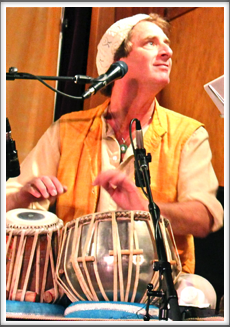 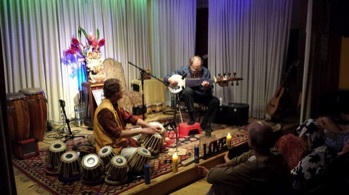 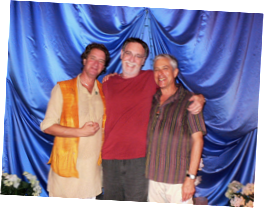 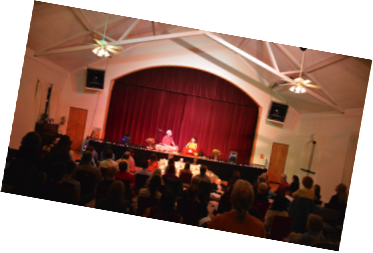 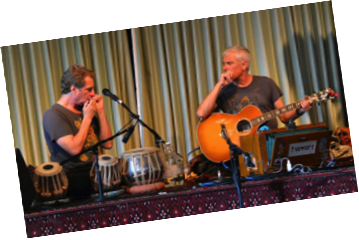 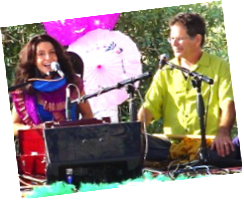 At this time, long before the current yoga/kirtan phenomenon, he began six years of touring with kirtan/cellist Bob Kindler, bringing programs of kirtan chanting and the rare tabla tarong melody drums, to Indian ashrams throughout the United States. 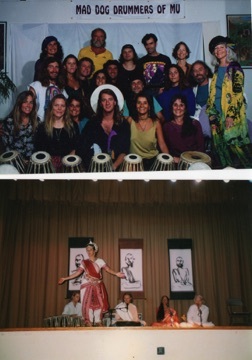 In Honolulu they opened for an appearance of the Dalai Lama and in Chicago in 1993 they opened the plenary session of the 100th anniversary of the “World Parliament of Religions”. 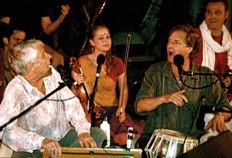 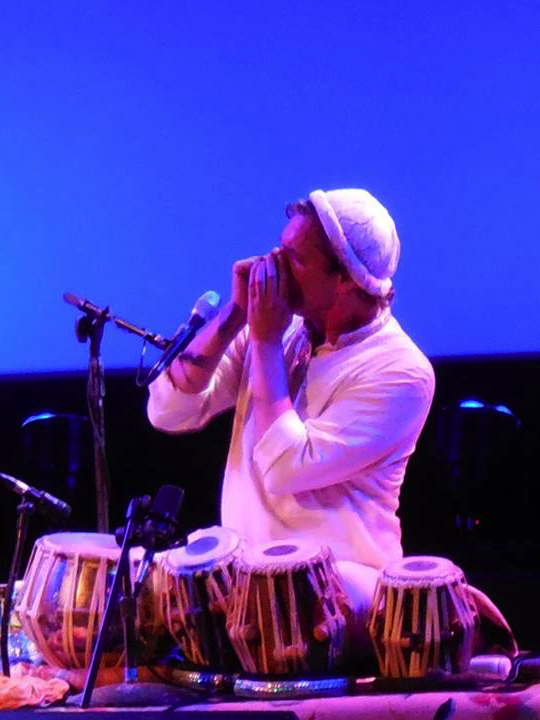 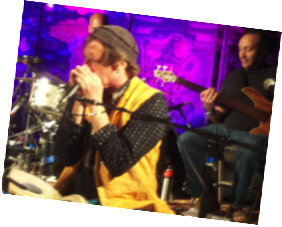 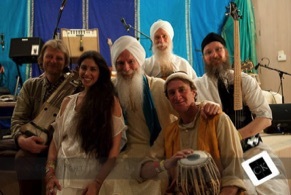 He also began performing with Jai Uttal in 1990 recording Jai's first CD "Footprints" on the Triloka label owned by Krishna Das and then on and off in Jai Uttalˆs Pagan Love Orchestra, a pioneering kirtan/classicaljazz fusion band unfortunately way before it's time! 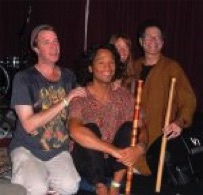 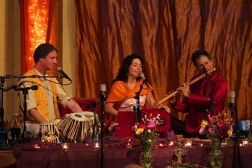 Daniel has also performed in Europe and the U.S. with indian flutists G.S. 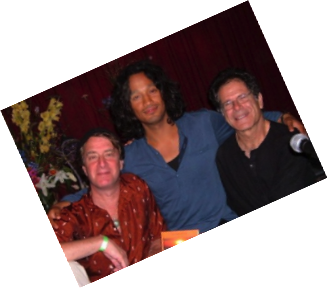 Satchdev, Manose and Steve Gorn, and in acoustic sets with Hawaii’s ambassador of music Henry Kapono, opening for Bob Dylan at the Wakiki Bandshell and recording for Hawaii’s legendary duo, Cecilio & Kapono. 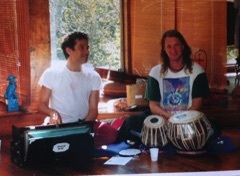 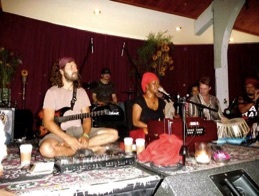 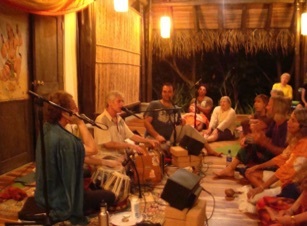 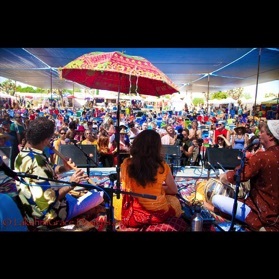 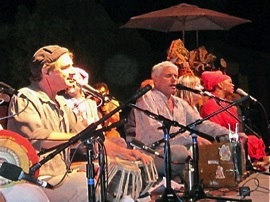 In the mid-nineties on Maui Daniel led his own drum orchestra, The Mad Dog Drummers of Mu and at this time began accompanying many of today’s leading kirtan, artists including the late Singh Kaur, Jaya Lakshmi and her techno band Lost At Last, Snatam Kaur, Dave Stringer, Guru Ganesha, Krishna Das, CC White and Donna DeLory. 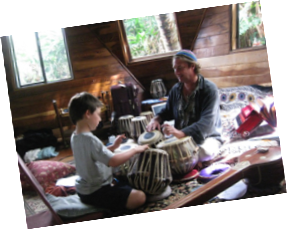 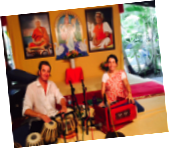 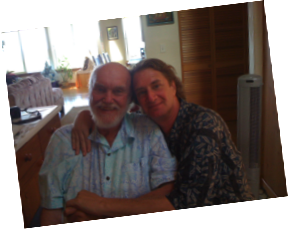 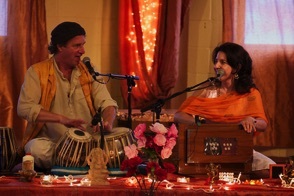 At home on Maui he has worked with new age artists: Govi, Karunesh, Shastro, Bruce Becvar, Indian sarodist’s K. Sridhar, Ross Kent and the Megan Black Kathak Dance Company. 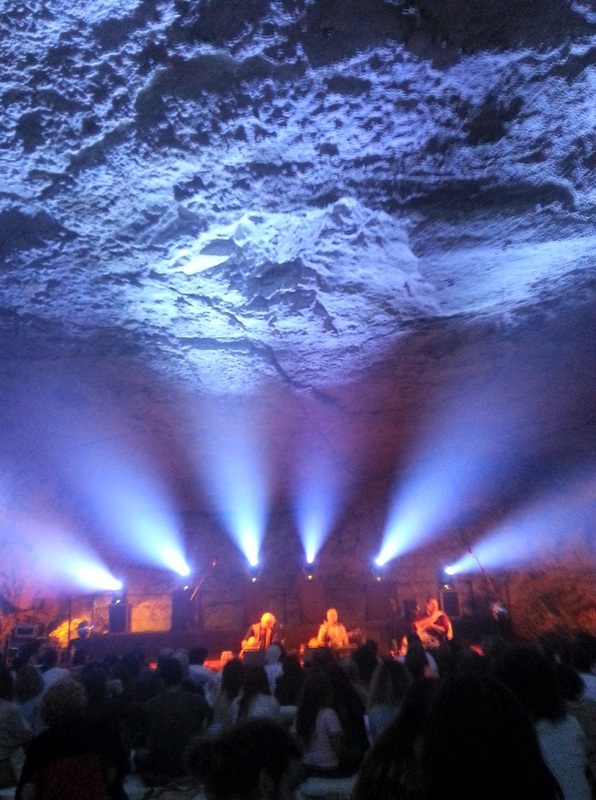 under the old city in a cave! 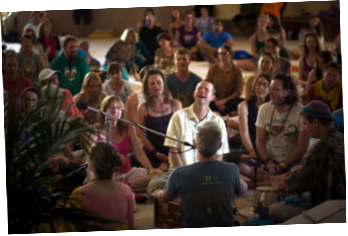 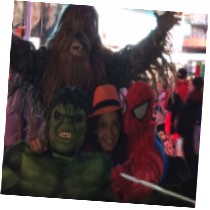 ".....and the bedrock upon which it is all built...."
Gratitude to all our teachers! 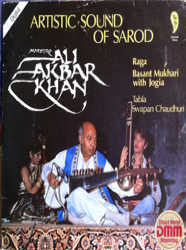 Ravi Shankar & Alla Rakha, Carnegie Hall Live LP, Kamalesh Maitra, dancer Chitresh Das, Jnan Prakash Ghosh, Swapan Chaudhuri with Baba Allauddin Khan in the middle and Ali Akbar's portrait just above!